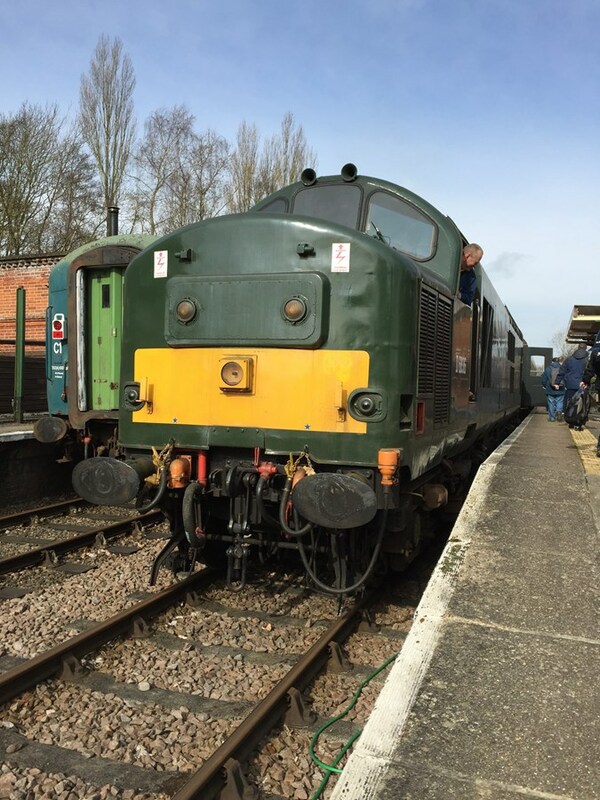 Pioneer D400 hauled its first train in 16 years at the Mid-Norfolk Railway diesel gala on April 1. The Class 50 was one of three owned by Boden Rail Engineering Ltd that attended the event, along with 50007 Hercules and 50017 Royal Oak. 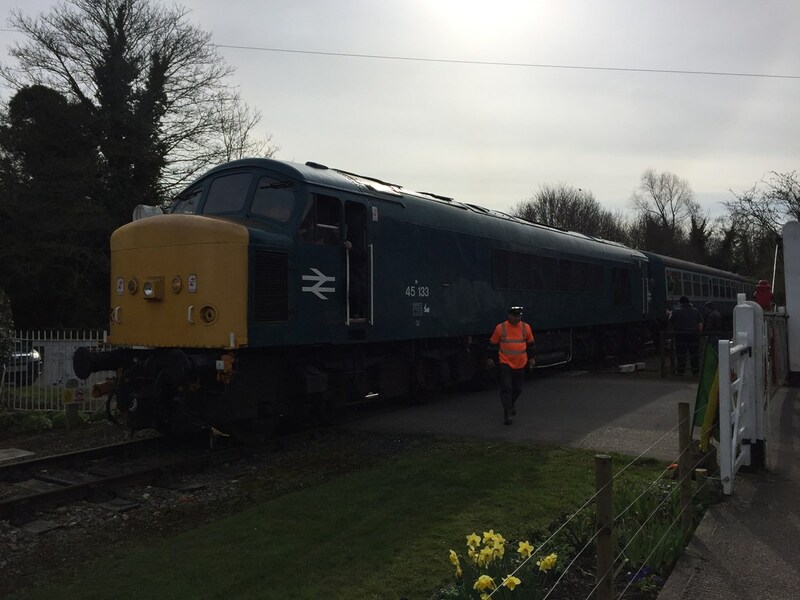 BREL’s three Class 50s operated solo and in pairs, and all three hauled the 1800 Dereham-Wymondham Abbey on April 2. 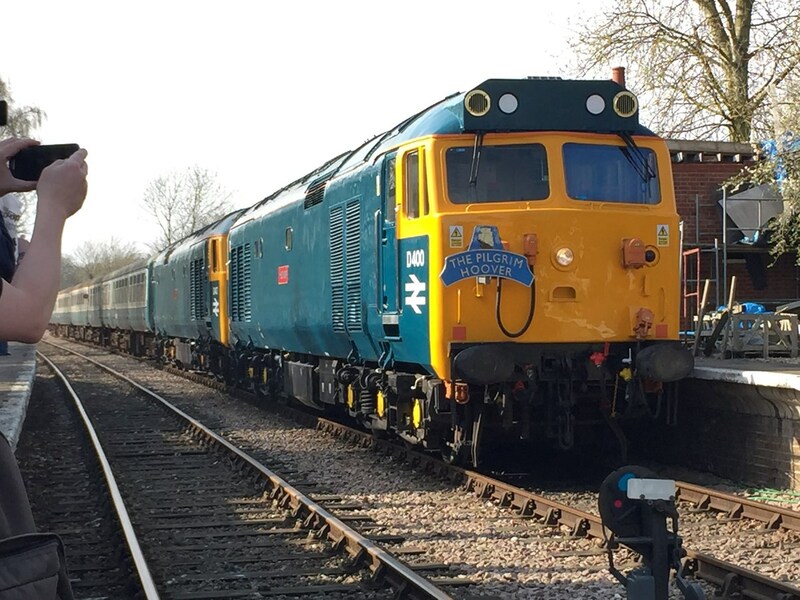 The pioneer, which also carries its TOPS number (50050) and name (Fearless), was bought by BREL last year, and returned to action earlier this year following a thorough restoration by BREL (RAIL 797). Its last train had been on September 19 1999 - a London Liverpool Street-Norwich and return train that it hauled when hired by Anglia Railways. 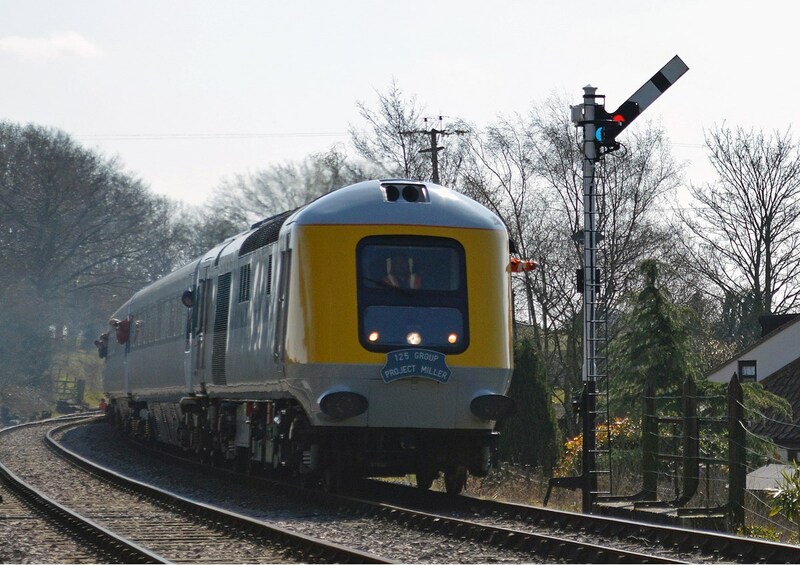 Also in action at the gala was the prototype High Speed Train power car 41001, which was visiting from the Great Central Railway (Nottingham). 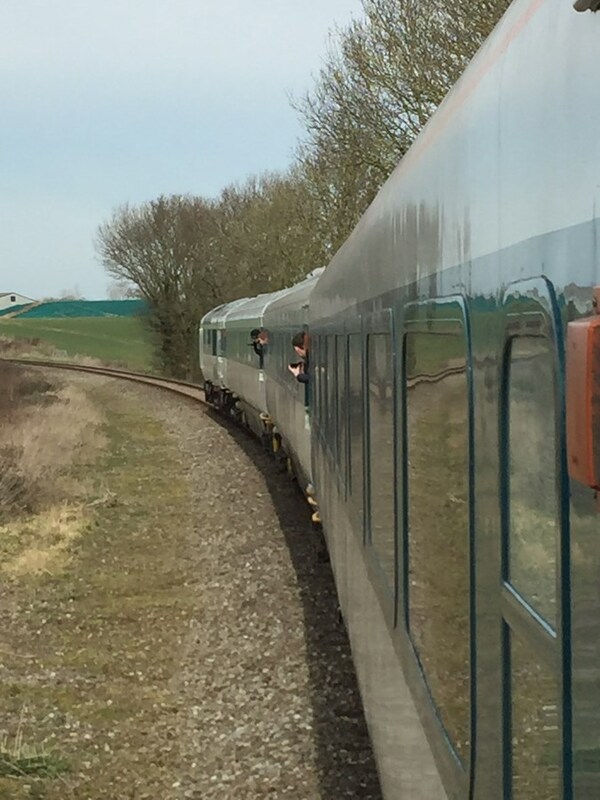 Owned by the National Railway Museum but in the custodianship of the 125Group, the power car visited the MNR with three Mk 3s bought by the 125Group to match the ‘41’, even though they are locomotive-hauled Mk 3s rather than HST vehicles. The carriages - Restaurant First Modular (RFM) 10206, Open First (FO) 11074 and Standard Open (TSO) 12092 - have also been repainted into the same grey and blue livery as carried by the ‘41’. It was the first time the power car and its Mk 3s had visited another railway. It was also due to visit the Nene Valley Railway on April 9-10, and then Bo’ness & Kinneil Railway on July 22-24. 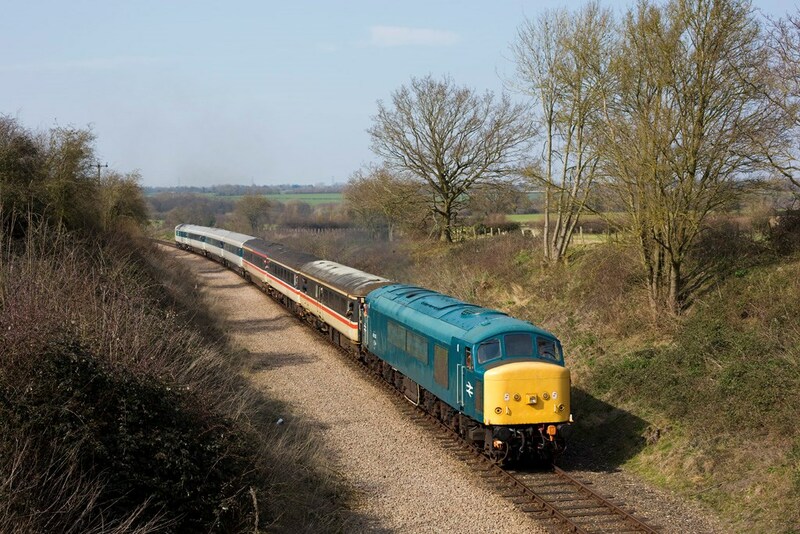 Also working at the Mid-Norfolk diesel gala was UK Rail Leasing 37905 and Direct Rail Services 66426 - they worked on April 2/3 as a replacement for 56006, which was unable to attend the event as planned. 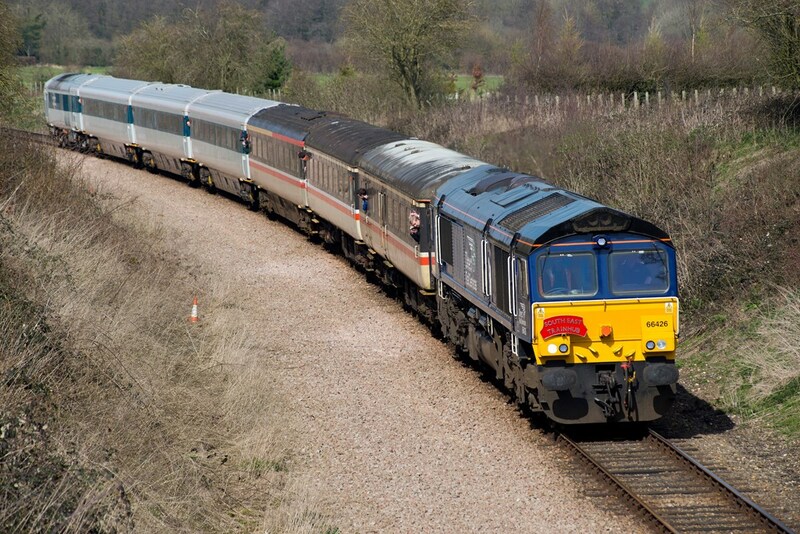 Its owner, the Class 56 Group, said in a statement on March 31: “56006 was left behind at Leicester. An issue with the paperwork that would allow six locomotives to travel together rather than the usual five dictated that one locomotive be left behind. Resident locomotives 45133, 47367 and 47596 Aldeburgh Festival also operated at the event. Locomotives not in action were 20069 and 31235 (both of which have been sold), 37003, 50019 and 73210.